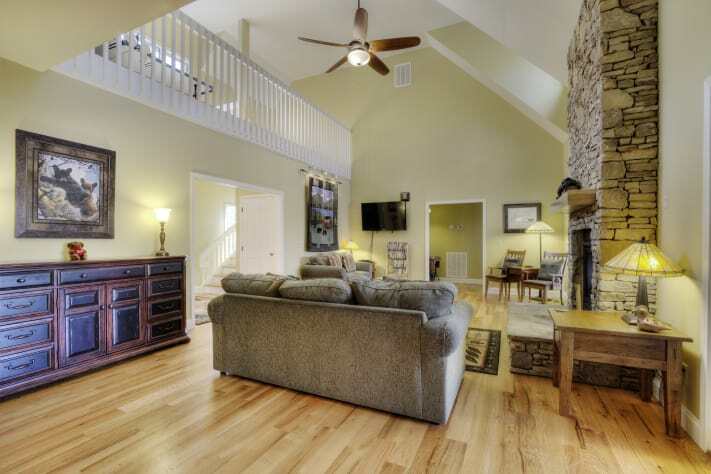 Cove Mountain Retreat Spacious 3BR/2.5BA Overlooking Seven Private Wooded Acres! 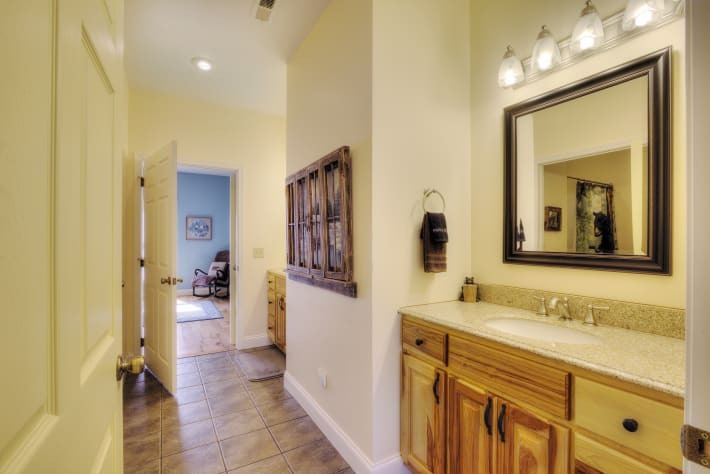 Cove Mountain Retreat is a spacious and open three bedroom two and a half bath getaway nestled in the woods on Cove Mountain in Wears Valley. 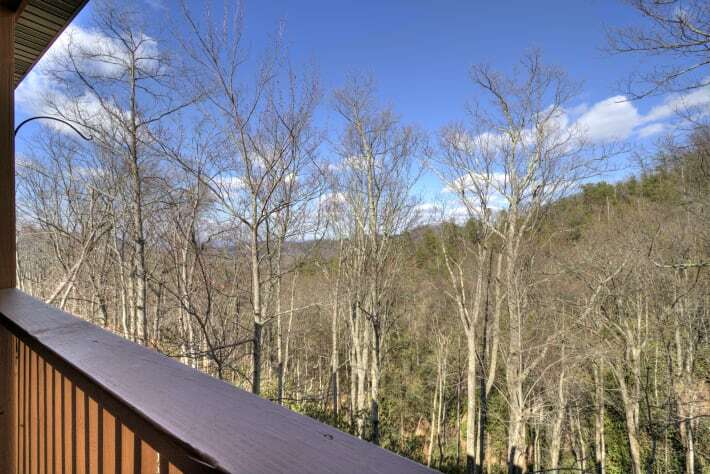 The cabin is only minutes to the Great Smoky Mountains National Park, Cades Cove, Townsend, Gatlinburg, and Pigeon Forge. 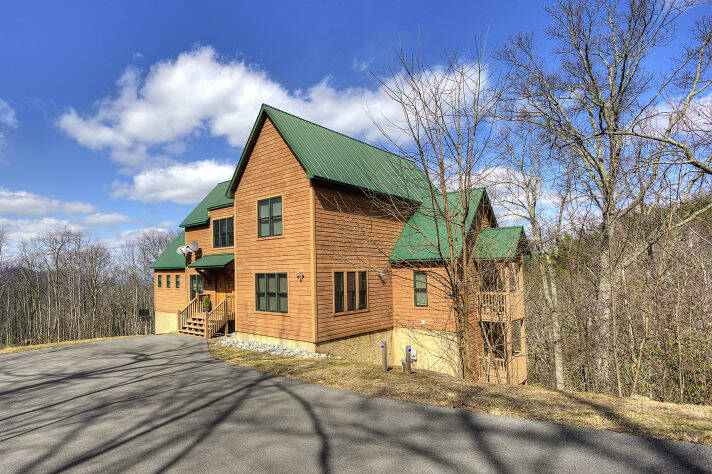 With a generous covered back deck, Cove Mountain Retreat offers views of the Smoky Mountain tree tops in the summertime and wooded mountain views in the winter. 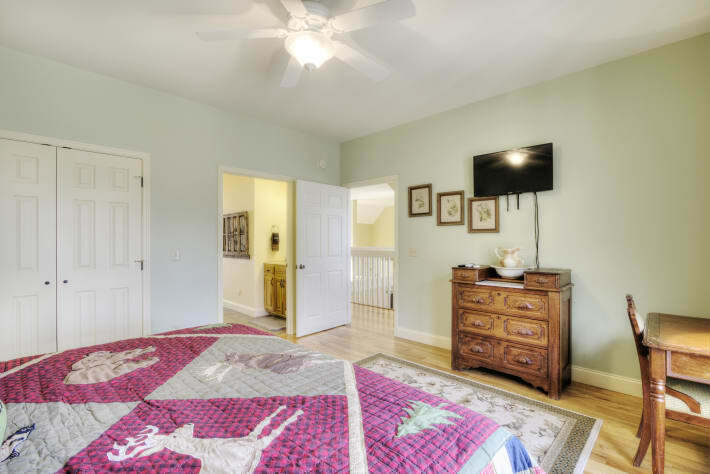 The main level of Cove Mountain Retreat features the largest bedroom and bathroom, the great room (which combines the kitchen, dining room and living room) the game room with a pool table, the laundry room, and the half bathroom. 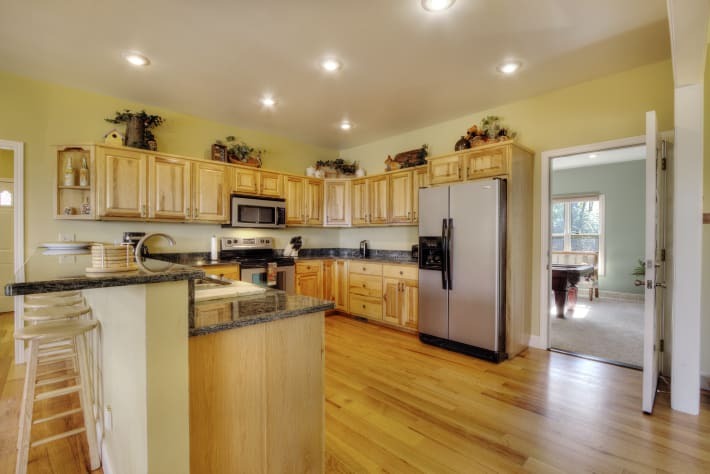 The kitchen is spacious with plenty of cabinets for storage. 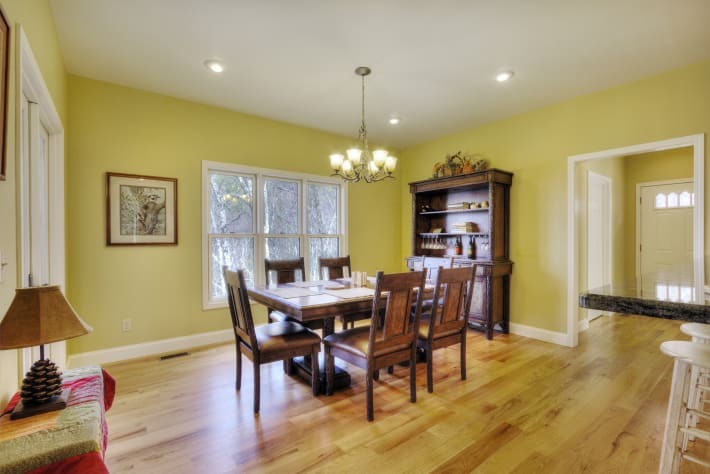 The countertops are granite with a built in bar perfect for lunch or snack time. The dining table can seat six comfortably. 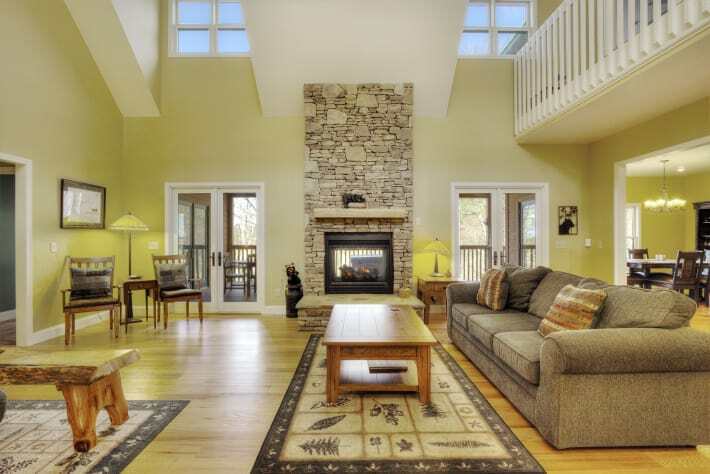 In the living room, the gas stacked stone fireplace accentuates the cathedral ceilings and can be viewed from inside or outside. A large, flat screen satellite TV complete with a DVD player and a collection of movies are just to the left of the fireplace. The sofa is accompanied by a love seat, two wooden reading chairs, a coffee table, and two end tables. 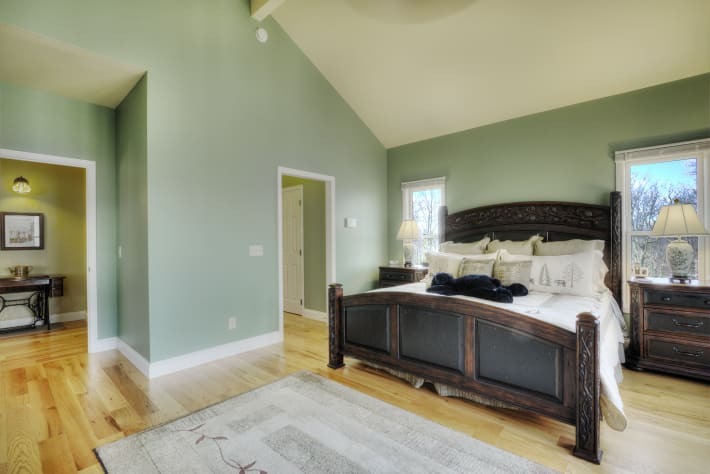 The main level bedroom holds a king size bed, two large closets, a satellite TV, cathedral ceilings, and an attached master bathroom. 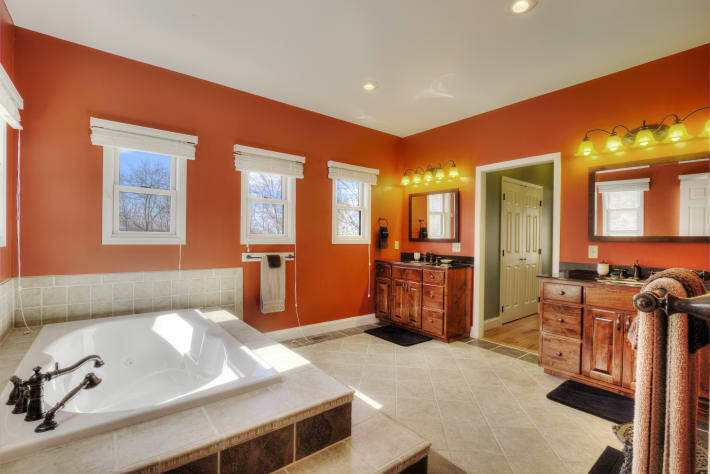 The master bathroom a large whirlpool tub, a tile walk in shower, a two separate vanities. 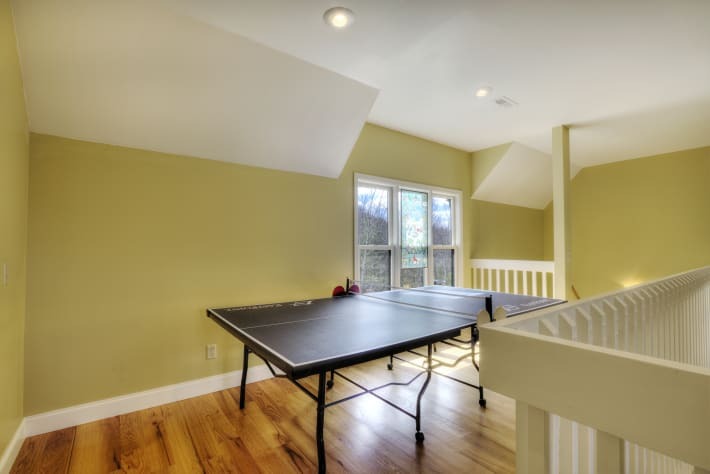 Upstairs, Cove Mountain Retreat has two additional bedrooms, a second full size bathroom, and a loft complete with a ping pong table. 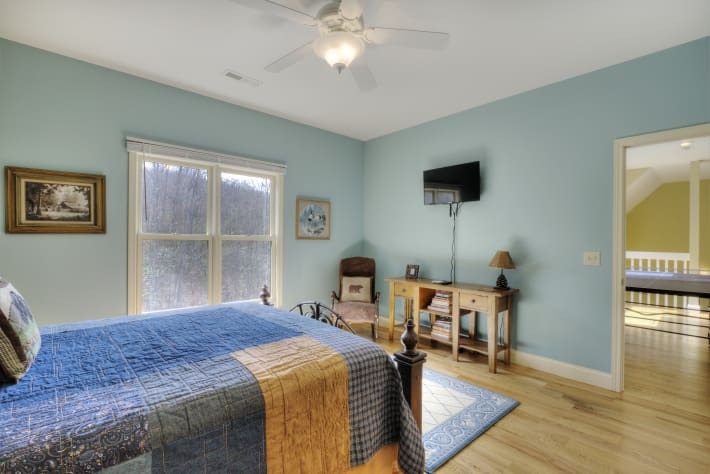 The first bedroom has a queen size bed, a satellite TV, and a reading area. 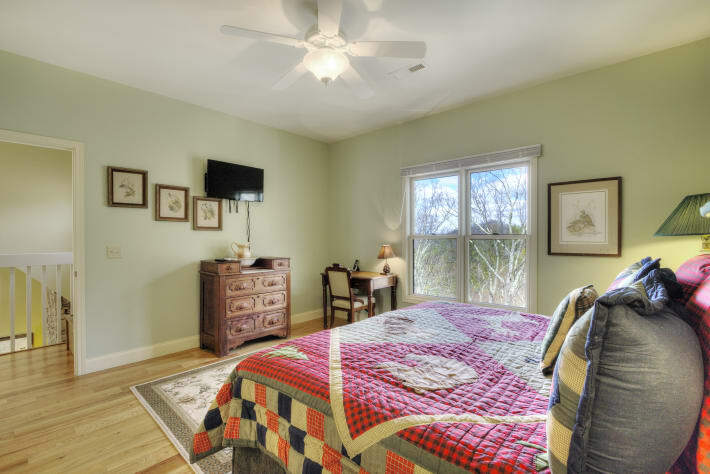 The second bedroom features a king size bed, a satellite TV, and a desk area. 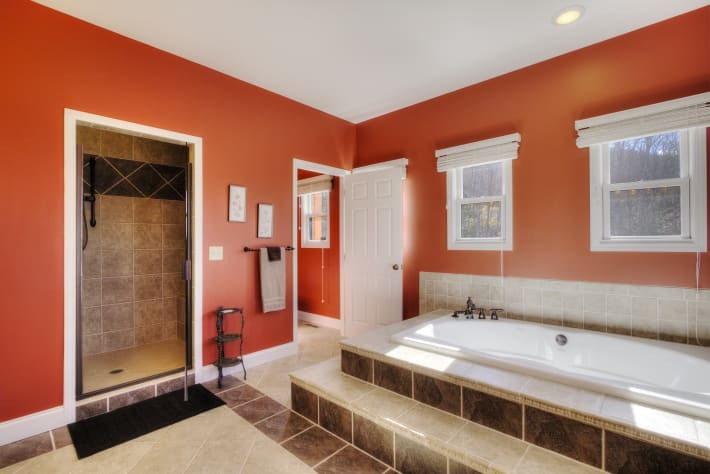 The shared bathroom has a tub shower combination, and two separate vanities. 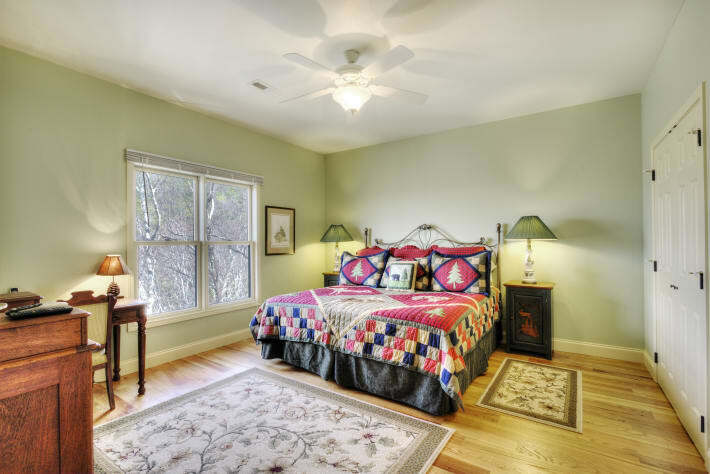 Cove Mountain Retreat has hardwood and tile flooring throughout accented with area rugs. 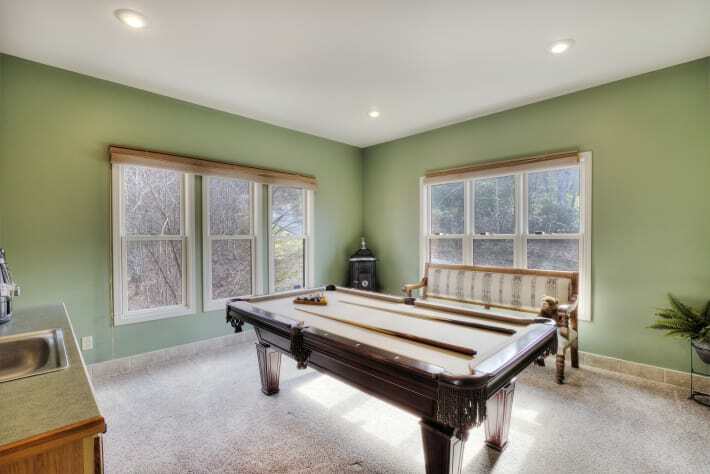 The game room on the main level is home to the ping pong table, a stereo/CD player, and a prep cabinet complete with running water. 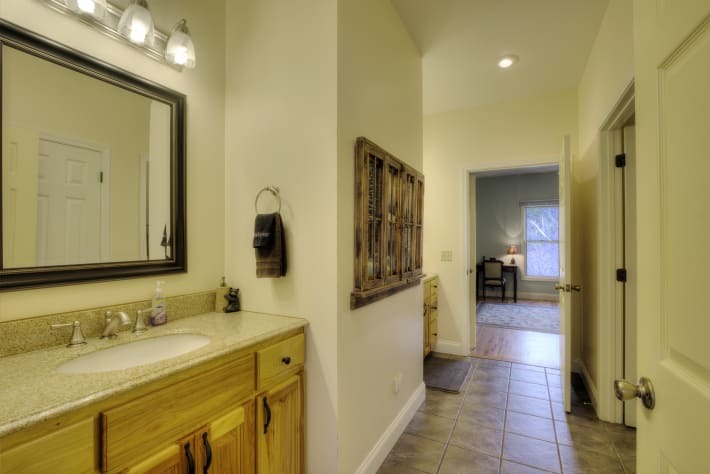 The laundry room comes complete with a full size washer and dryer along with an iron and ironing board. Wireless satellite Internet is also offered. 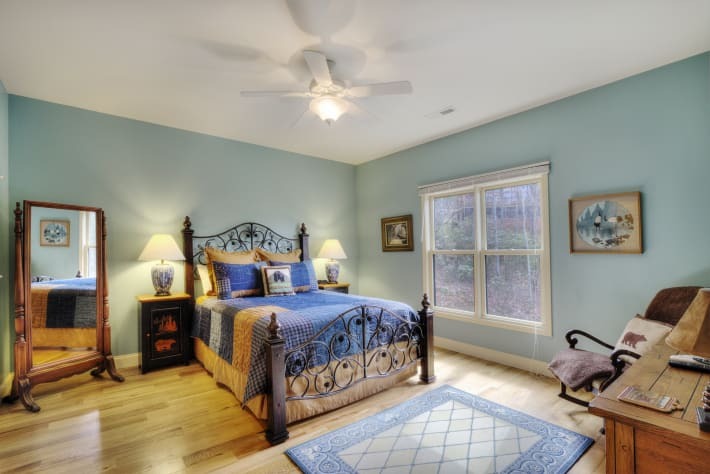 As far as the outdoors are concerned, this is where Cove Mountain Retreat really shines. 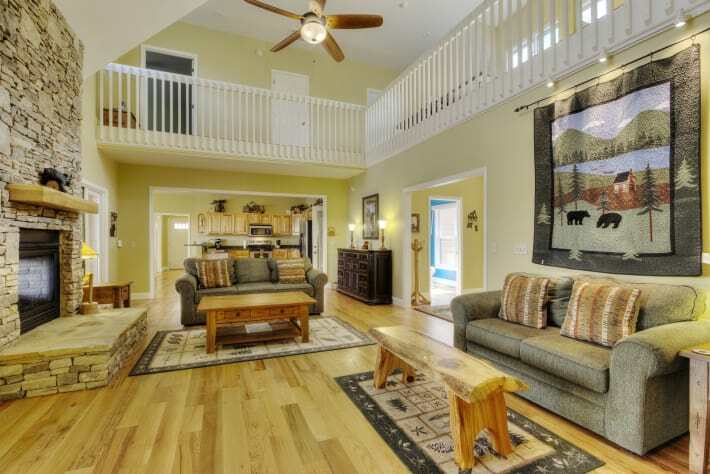 The covered back deck is home to the four person hot tub, a teak patio table that seats six comfortably, and a pair of outdoor ceiling fans to help stir the air on those summer days. It’s perfect for relaxing in the morning or listening to the birds in the afternoon. 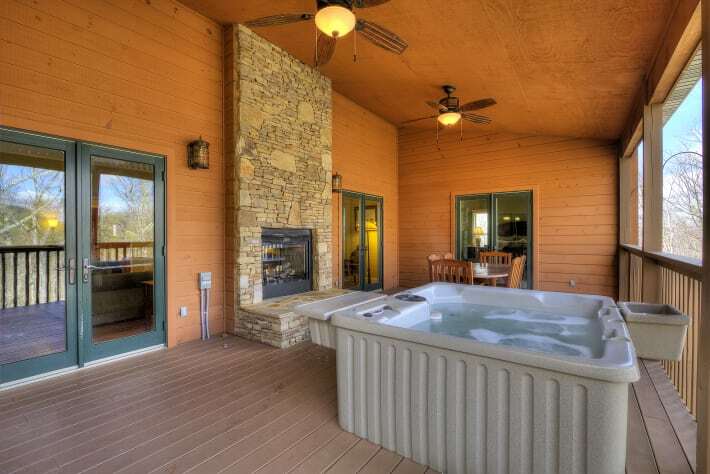 Cove Mountain Retreat also features a charcoal park grill is just steps from the front door. The driveway is paved and there is plenty of space for parking up to three large cars. 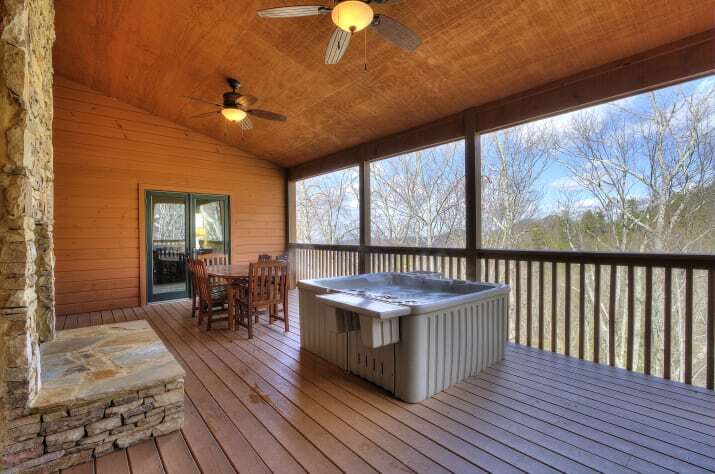 You may book online at https://yoursmokymountaincabin.com/cabin-cove-mountain-retreat/ or feel free to call. We had a wonderful family vacation staying at this house! Great home. We Loved it. Great location and everything was provided. 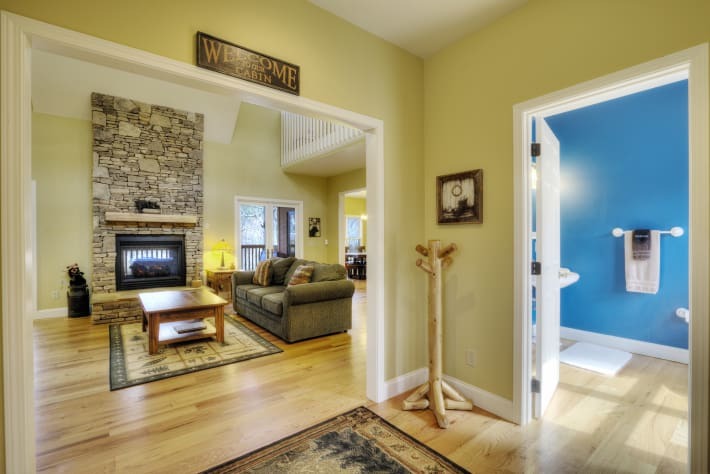 Not your Typical cabin look interior but it makes up with open spaces and upgrades. Plenty of parking, Good view at least in the winter. 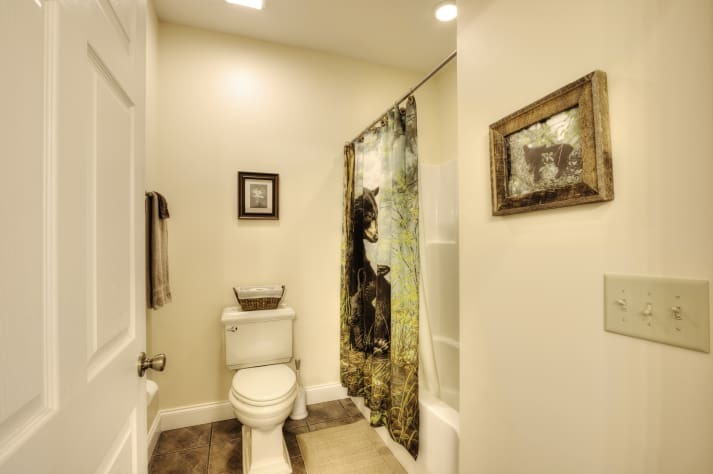 Everything you need is there, close to everything yet nestled away in a private little property. We would definitely rent it again, provided the price remains somewhat the same. We come to Wears Valley every year and have to say we thoroughly enjoyed the cabin. It was the cleanest place we've ever stayed. The size of the rooms, the amenities, and the hottub were so enjoyable. It's close enough to town but far enough away to make you feel like you are in the country. The drive wasn't bad. The view was nice. The ping pong table and pool table were a hit with my son and I. Plenty of channels if you just want to lounge around and watch TV. The indoor/outdoor fireplace was a bonus. A gas grill would be a suggestion for the owners. Tough to cook with charcoal in cold weather. Overall, we had a great time and would rebook in a second. Thanks!